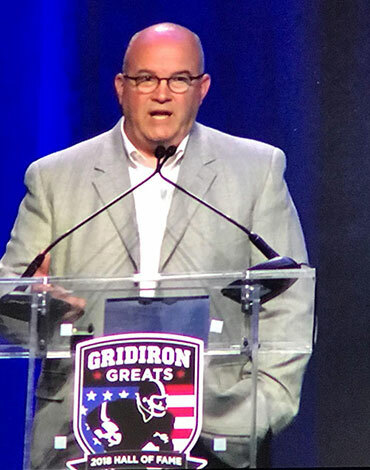 Home // In The News - TMI Sports Medicine » TMI Sports Medicine and Orthopedic Surgery Participates in the Gridiron Greats 2018 Hall of Fame Charity Event. 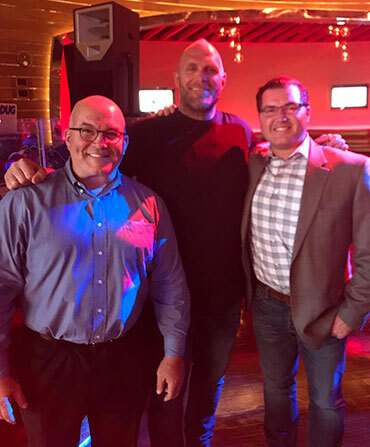 Mr. Hudson was accompanied by Dr. Jesse Even, a spine surgeon at TMI Sports Medicine, who has recently joined Gridiron Greats to provide pro bono orthopedic and neurological spine care for these former athletes. Dr. 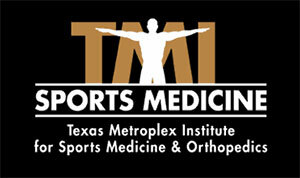 Even is the spinal consultant for the MLB Texas Rangers and NHL Dallas Stars. 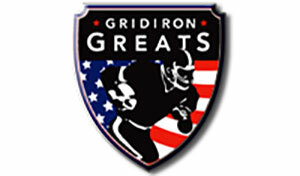 To read more about it please go to www.gridirongreats.org. Mr. Vinnie Hudson speaking to the Gridiron Greats supporters.